From grilling the most delicious steak you’ve ever tasted to cold smoking gourmet style cheeses, the versatile MAK Two-Star General does it all. With ultimate control over heat and smoke levels, you can finally replicate your favorite meals each and every time. To top it all off, the Two-Star comes with our exclusive FlashFire igniter, which has a LIFETIME warranty. No other pellet grill has anything like it, nor do any of them have our easy-access pellet hopper door which makes it easy to swap out pellet varieties in seconds. 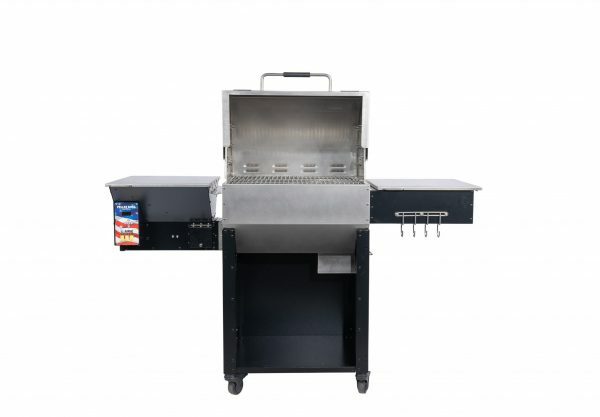 Add in the optional Super Smoker Box, and it’s no wonder the Two-Star General Grill has become our best selling model year after year. 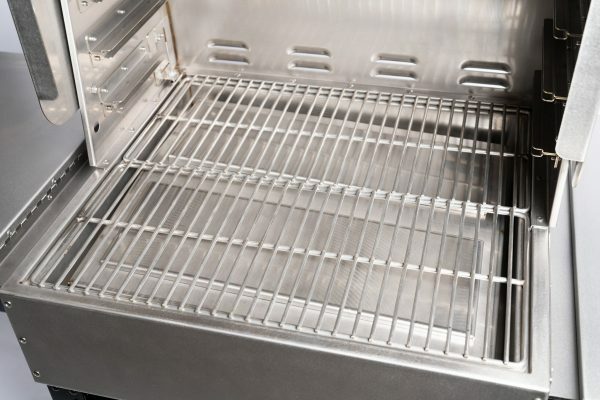 Since we introduced the Two-Star General in 2009, we’ve constantly improved our flagship model to make it one of the best performing pellet grills on the planet. Not only does this pellet grill look great, it smokes (grills, bakes, roasts, etc.) as good as it looks! And every MAK is designed, crafted, and shipped with pride right here in the USA. 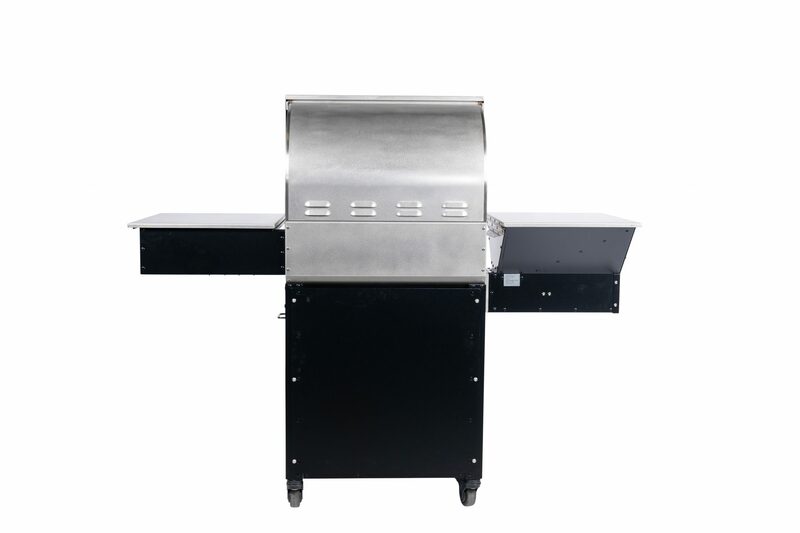 One of the biggest differences between MAK Grills and other pellet smoker manufacturers is our unending quest to engineer and design pellet grills as close to perfect as possible. MAK’s Two-Star is a top-quality outdoor cooking appliance that eliminates the need for multiple backyard cooking units. Once you start cooking on a Two-Star, any other outdoor cooking device will quickly be forgotten. Easier assembly with two leg panels instead of four individual legs. FlashFire™ ignition for sure start-ups every time you want to cook. 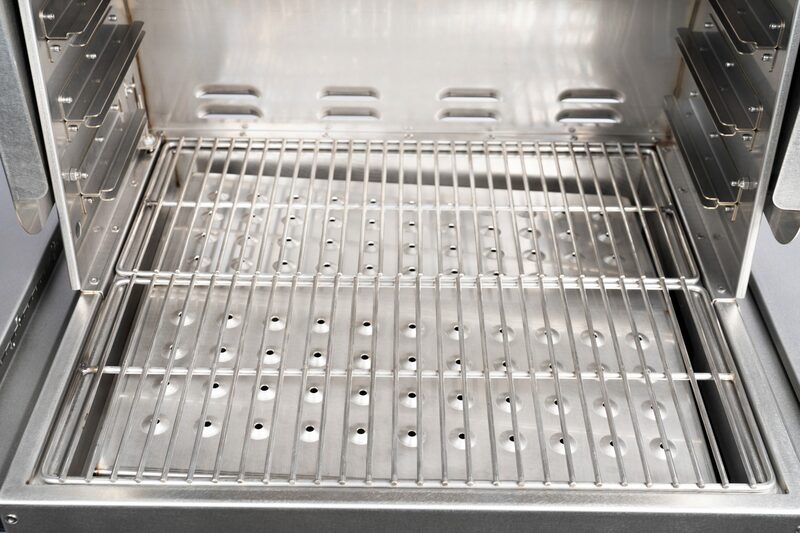 We have the ONLY pellet grill igniter with a Lifetime Warranty. FlameZone® with improved grease run-off, quicker high-temperature attainment, and better heat recovery. Classic black 850°F high-temperature powder coat finish helping hide grease and sauce drips. 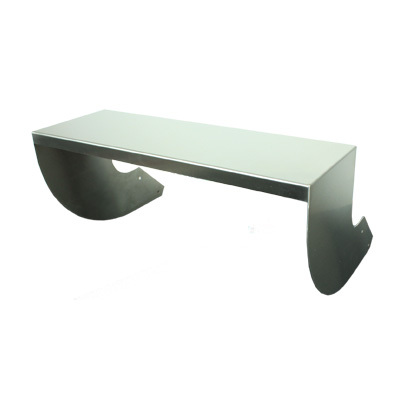 Marine grade 304 Stainless Steel body for years of durability. 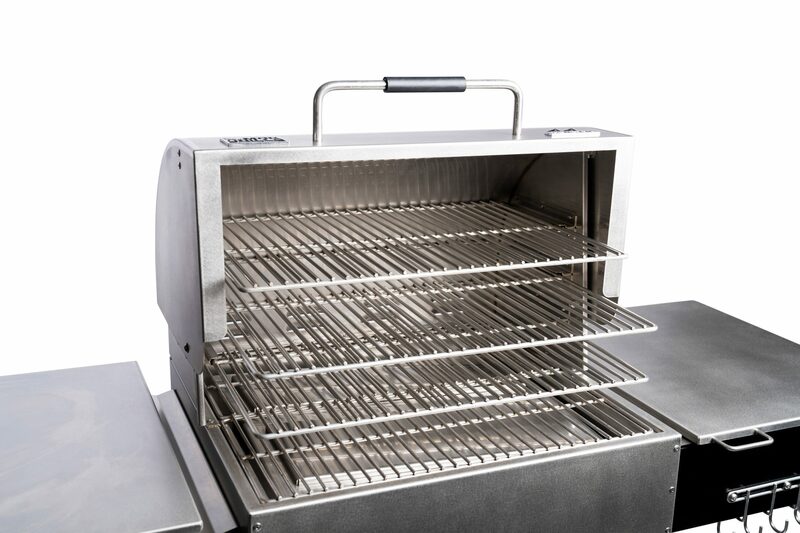 Stainless Steel pellet hopper and Warmer/Smoker box lids to enhance the Two-Star’s contemporary styling. Scratch Hide matte finish makes it easier to keep your grill looking new. Hides scratches and fingerprints. Stainless Steel tool hooks. Special design keeps tools in place even on the windiest of days. Three inch heavy-duty locking swivel casters all around. Gives you the most mobility possible. Easy to lock and unlock. FlashFire™ Igniter. The quickest, surest way to get your grill fired-up. Comes with a lifetime warranty. A MAK Exclusive! 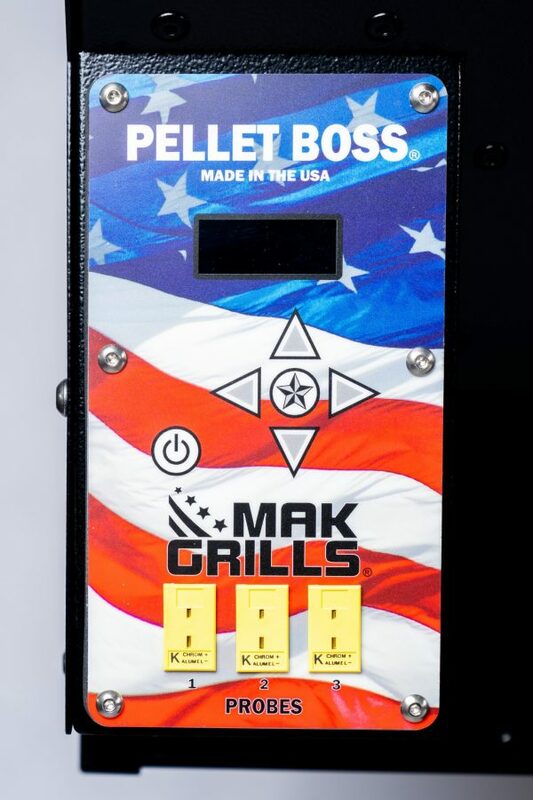 Pellet Boss® digital controller has 15 separate features and an improved LCD display making it easier to read from the top down. It’s also Wi-Fi ready. A MAK Exclusive! Uses up to three programmable meat probes to monitor internal meat temperatures, ensuring the perfect result every time. Commercial grade Thermocouple for precise temperature measurement and grill temperature control. Combination Warmer/Smoker Box. Use it to cold smoke or keep cooked foods at a safe serving temperature. A MAK Exclusive! Improved FlameZone®. We’ve made our direct cooking feature even better with improved grease run-off, quicker high temperature attainment and better heat recovery. 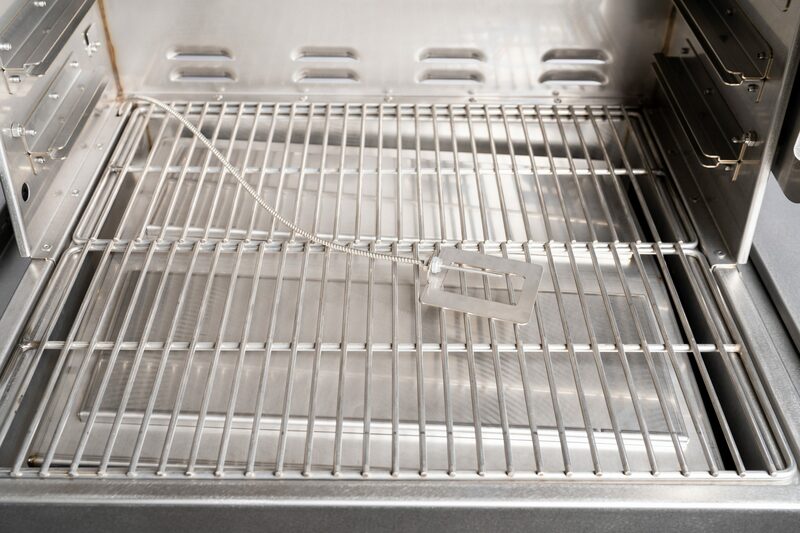 Rear exhaust louvers provide consistent cooking throughout the entire cooking chamber. Slide In Upper Grates. Add more cooking surface by using one of our optional slide-in stainless steel grates. Three sizes to choose from. Pellet Hopper Access Door. Change pellet varieties in seconds, rather than having to scoop them out by hand. Removable Stainless Steel firepot. Allows easy disposal of pellet ash. A MAK Exclusive! Automatic Auger Stop. A safety feature that stops auger movement whenever the pellet hopper lid is opened. Twenty pound pellet hopper capacity. Holds enough fuel for all night cooks. Interior ash clean-out. Leave the shop vac in the garage. Simply lift the cover and brush the pellet ash into the two quart grease drawer for disposal. A MAK Exclusive! 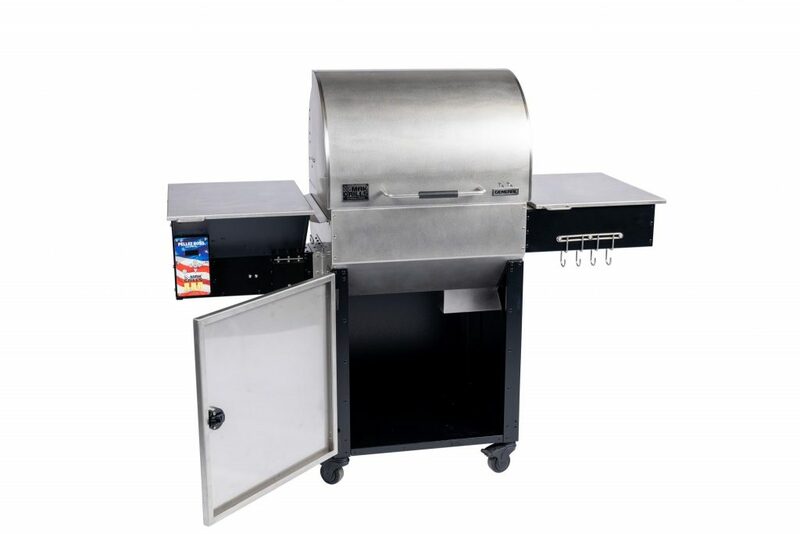 Interior Stainless steel two quart grease drawer captures grease and pellet ash. We eliminated the grease bucket that can lead to trouble for kids, pets and critters. Eight foot long power cord. It’s long enough so you can move the grill away from the house and still keep it plugged in. “Classic black” high temperature powder coat. Helps to hide grease and sauce drips. **NOTICE: Free shipping does not include Alaska or Hawaii. Please contact us for shipping details and costs for these two states. Customers who live in extreme rural or secluded areas will be responsible for paying additional shipping charges which are not covered under our regular residential delivery. Please inquire prior to making your purchase with us. 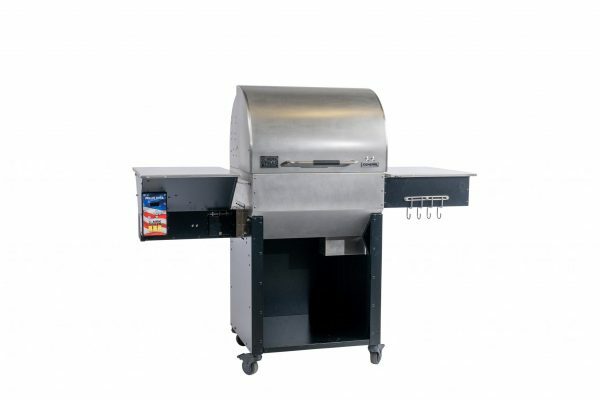 Call (503) 623-1234 or email: sales@makgrills.com. Someone MUST be available to receive the grill at time of delivery. I recently purchased the Two-Star General. From pre sales questions to delivery it was easy to see Mak was the right choice. Mak uses top notch carriers for delivery. The freight company called to schedule the delivery a day prior to arrival. The next day I received a call about an hour prior to delivery. On time and no damage. Mak does a great job packaging the grill for shipping. Everything was protected well. Assembly of the Two-Star was a breeze. It definitely helps to have another person. While asembling my new Mak the quality is quite evident. The fit and finish are awesome. You can also tell by the gauge of the metal used that this is a product made to last. Once I completed putting the grill together it was time to load it with pellets and do an initial burn in. The Pellet Boss powered up and worked flawlessly. For anyone questioning the decision to purchase a Mak, relax once you get one you will be more than happy. I have really enjoyed the cooks I have had so far. My first cook of baby back ribs turned out awesome. I followed that with a brisket that had a smoke ring that was out of this world. My other two cooks were a pork shoulder and a whole chicken. My results nay not have been competition worthy but I will say my food was better than ninety percent of the locals places. My coworkers love it when I bring in leftovers. I purchased several accessories with my grill. The most important of which I think is the upper rack. To me either get a full or three quarter upper to give you the best capacity. I also purchased the sear grate to make my Mak more friendly while doing direct heating tasks. The Teflon finish on it and the griddle are awesome. 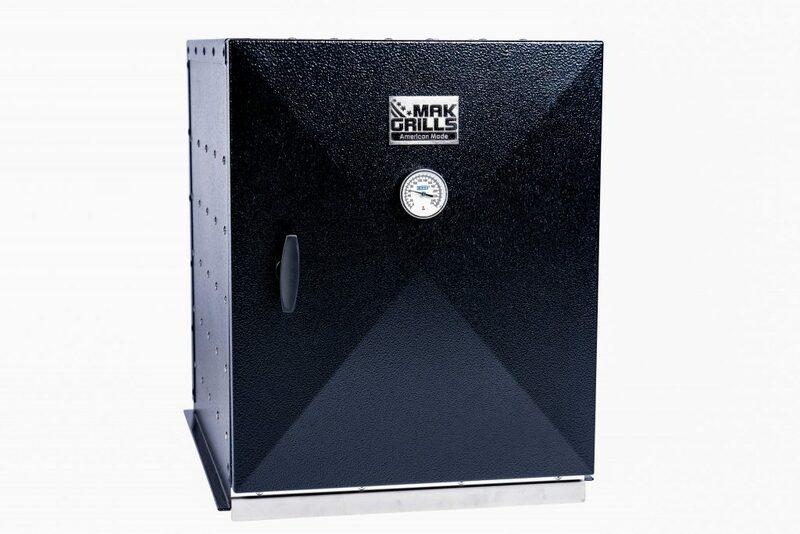 If you are looking for a pellet smoker made of high quality materials by American Craftsman that will last for a long time, invest in a Mak. I have had a 2 Star General since Oct, 2011, and it’s been a solid workhorse for me. Great for slow or fast grilling. Pork butts to steaks and smoked salmon. Solid, quality built cooker. I’ve never regretted this purchase. Had an issue a year ago with the temp probe. MAK tested my probe and controller, and returned them to me but with a new probe. Excellent service! I highly recommend a MAK grill. make a change to a finer quality grill. I have been the owner of another pellet grill since 1990, and have three of their models. I thought it was time to make a change to a finer quality grill, and what a change it was. I am a believer after just the first meal. For newcomers to pellet grills, just start with a MAK be happy you did. For those who want a change, the MAK is the way to go. All the features, even cooking, warming tray, adjustable temperature controls, and heating speed are impressive You did a great job designing this unit. Take your cold smoking to the next level and expand your warming chamber up to 300% with MAK’s Super Smoker Box. Shown with optional warmer/smoker pans. Close off the front of your Two-Star Grill, and turn the open area into an enclosed cabinet for storage of extra pellets, cooking supplies, and other accessories you do not want exposed to the elements.